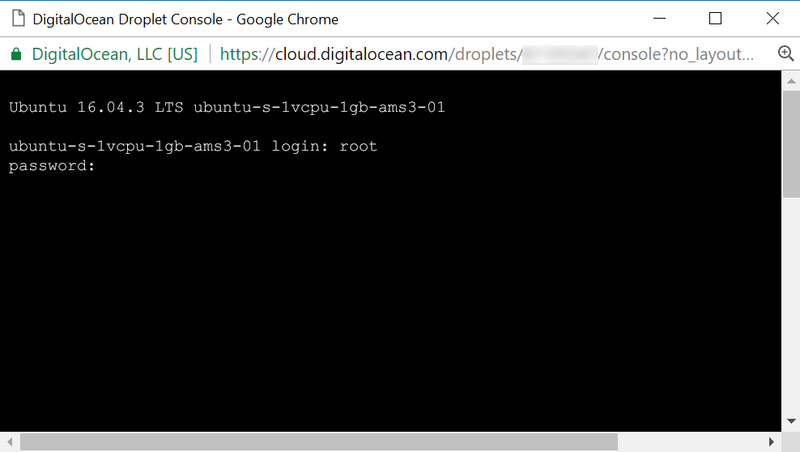 In this guide we will create your first DigitalOcean Droplet and log into terminal over SSH. 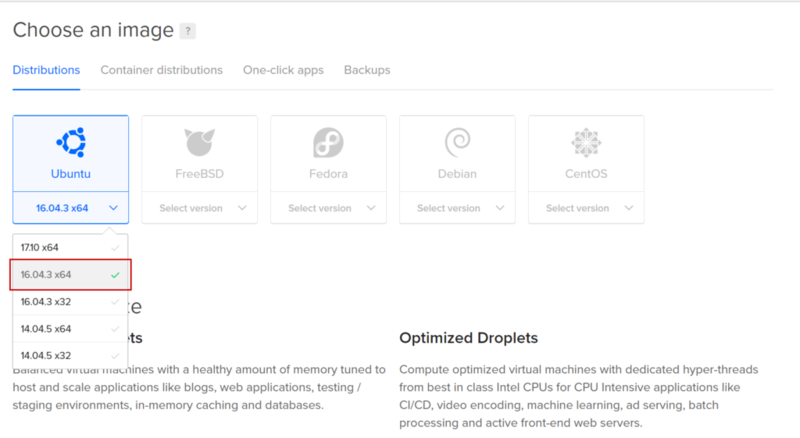 Droplets are virtual servers that can be added and deleted in minutes. You are billed hourly for each droplet until it reaches its monthly cap, which makes for a very affordable and flexible cloud computing solution. You should have already signed up for a DigitalOcean account and attached payment details to the account. Select the Create button and select Droplets. If you are unsure which distribution to choose, Ubuntu 16.04 is by far the most common and best supported. Ubuntu 17.10 does not have long term support and Ubuntu 18.04 will not be available until April or May 2018. You can also choose One-click apps to see a selection of preconfigured images including WordPress. 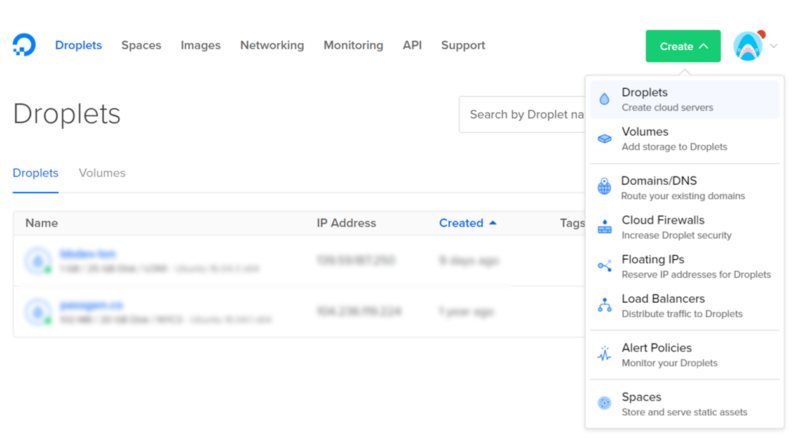 You can now select the hardware for you new Droplet. If you are unsure which to select here, the first option is more than enough to get you started. You can always upgrade your droplet hardware later. 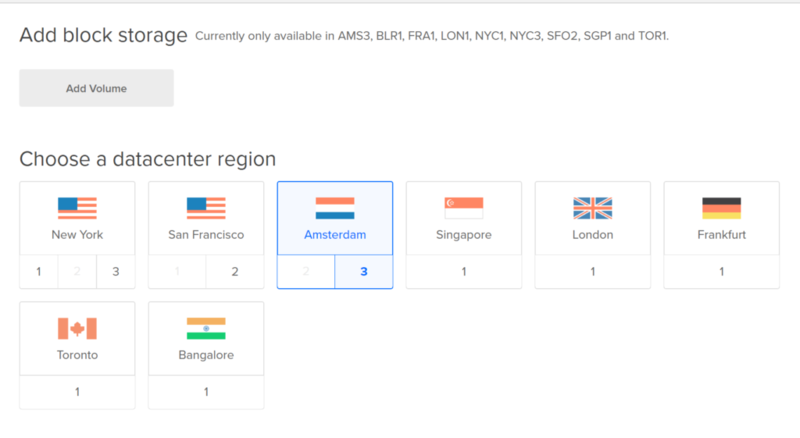 Now select a data centre closest to you. You can skip these two options. Now choose a name for your new Droplet. 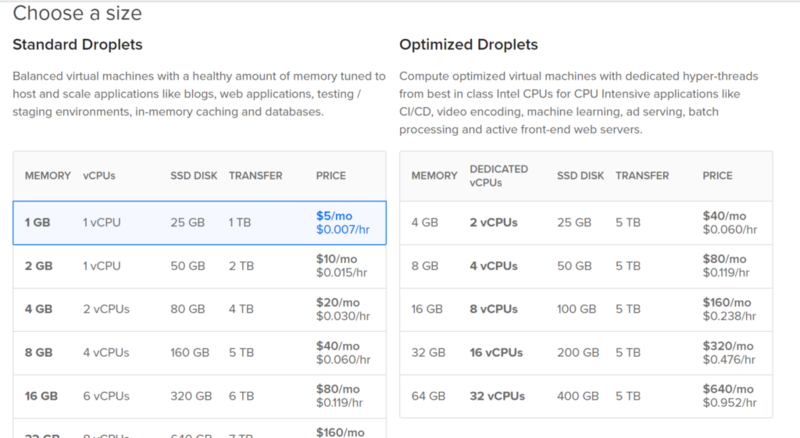 DigitalOcean will suggest one for you but you can change it to whatever you want. Once you click Create, your Droplet will appear in the Droplets page. You will also receive an email with your IP address and password. 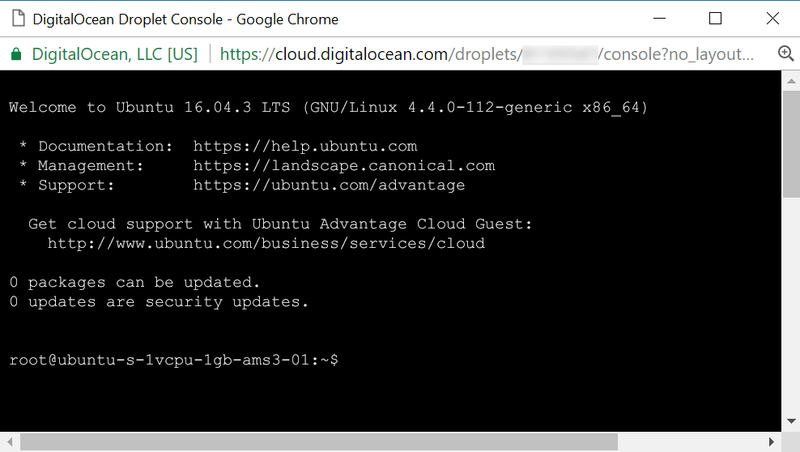 You can now access your Droplet via SSH. The SSH protocol is a method for secure remote login from one computer to another. 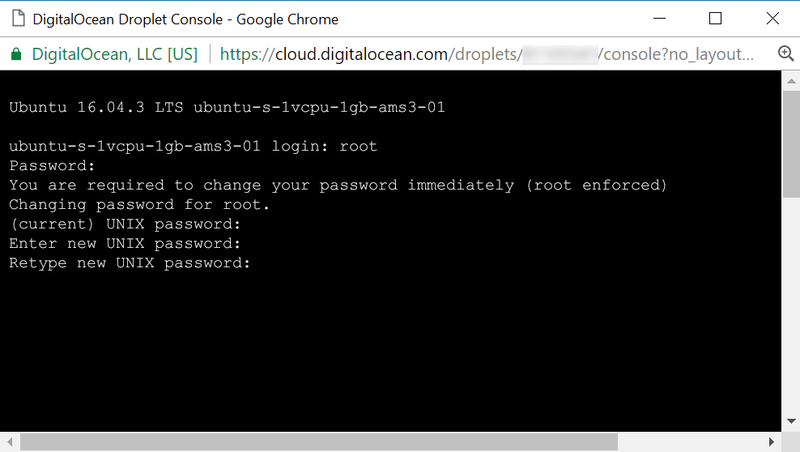 You can use DigitalOcean’s own SSH console in the browser, however, we don’t recommend it as you cannot copy and paste commands into it. I usually used to connect to my server with ssh. But suddenly it stopped working. So i tried using digital ocean web console. I reset my root password. But in the web console, when i type ‘root’ as username, it does not ask me to enter password. It just says ‘login incorrect’. Strange. Do you have a non-standard keyboard? If so, perhaps your keys are not mapped correctly and Linux is receiving the wrong input. I would try on a different computer and keyboard to see if that works.